1. Wash all vegetables thoroughly before cooking. 2. Heat up 1 teaspoon of butter on low heat. Add in the broccoli and saute until cooked. Set aside. 3. Heat up the remaining butter in the same pan and saute the mushrooms until cooked. Set aside. 4. Using the same pan, cook the bacon pieces until crisp, set aside. 5. Separate the eggs. Beat egg whites until fluffy. Add in the egg yolks and beat well. Pour it in the pan where you fried the bacon, using the bacon grease leftover. Add in all the veggies, bacon, and cheese on top of the egg. Fold the sides into the center and flip over. Cook for about 3-5 minutes. 6. Serve with toast and potatoes. I bought frozen O'Brien potatoes, which I pan fried. 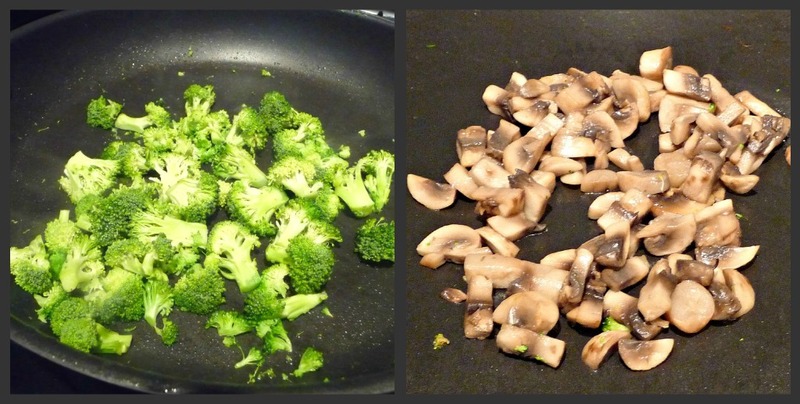 Saute broccoli and mushrooms in butter. 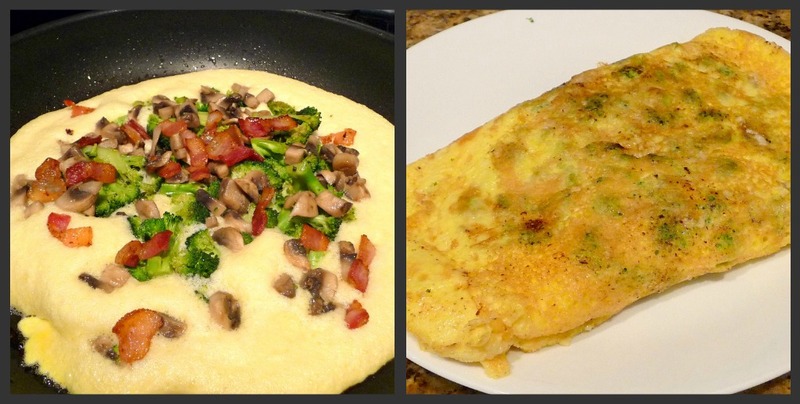 Place the veggies, bacon and cheese on top of the egg. Fold the sides to the center and flip over. Serve with potatoes, buttered toast & jam, and coffee. Yum!